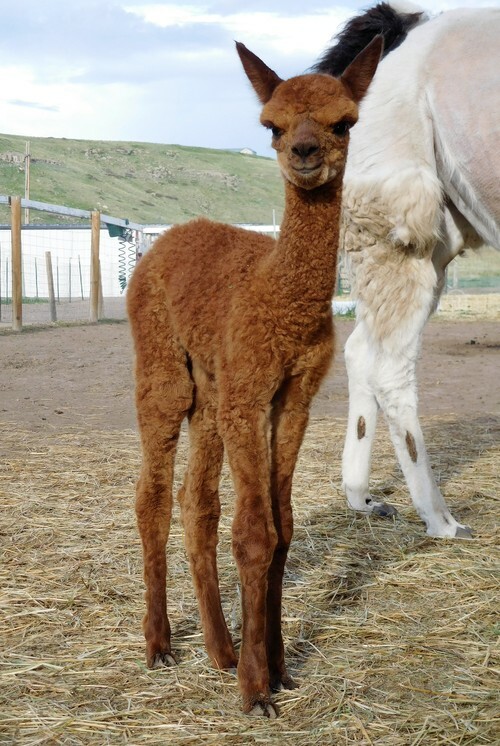 Update 6/5/17 Coco delivered an gorgeous female cria sired by our multi-champion male, SpringToo Skyfall. We have decided to name this beauty, Roo. 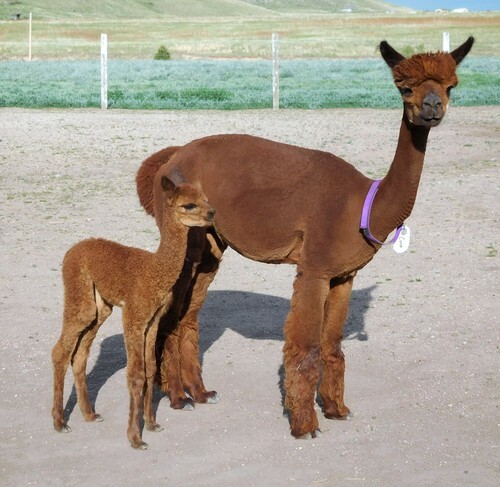 Coco is an amazing mother with plentiful milk. Her cria was born unassisted and was walking and nursing within an hour. 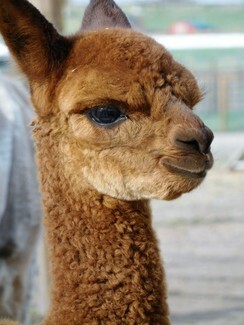 Coco's little one has her rich coloring and characteristic dark nose and ears. 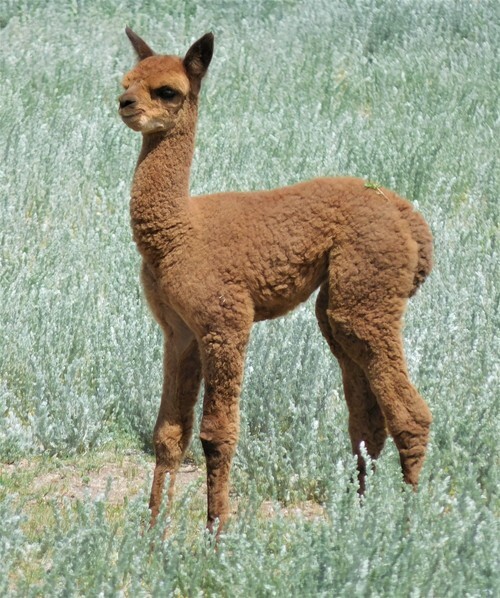 Roo has bright, dense fleece and is already showing some nice character. Roo is a looker! 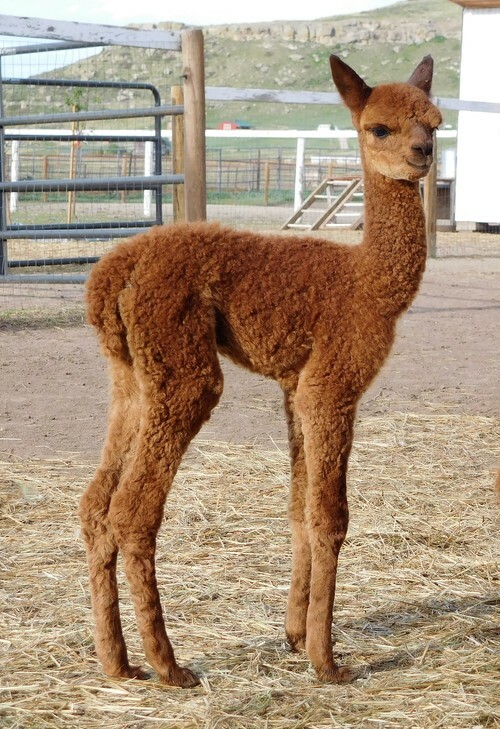 She is confident, spunky and already has wonderful conformation and fleece. Keep an eye on this girl. Roo is available with her dam, Coco. Package deal includes one breeding.